Whether you have been in an automobile accident or simply need to relax, you can benefit from massage. Portland residents trust the massage therapists at Zama massage. Massage therapy is a natural, effective way to relieve stress and reduce pain and inflammation. At Zama, we provide five-star care for all of your massage needs – body, mind and spirit! Have you recently been in a automobile accident? Are you tired, stressed, or in need of physical or emotional relief? Are you are an athlete training for an event, or recovering from an injury? Are you an office athlete (a professional who spends most of your time at a desk or standing in certain positions) who like millions of Americans, suffers from low back pain or poor posture that leads to chronic tension in your upper back, neck, and shoulders? Are you a busy mom, dad, or caregiver looking to steal away for some rest and relaxation? We are here to help! Our massage therapy team is comprised of seasoned massage therapists who are specifically trained to provide top notch therapeutic care, so that you can get the deep healing and pain relief your body needs. 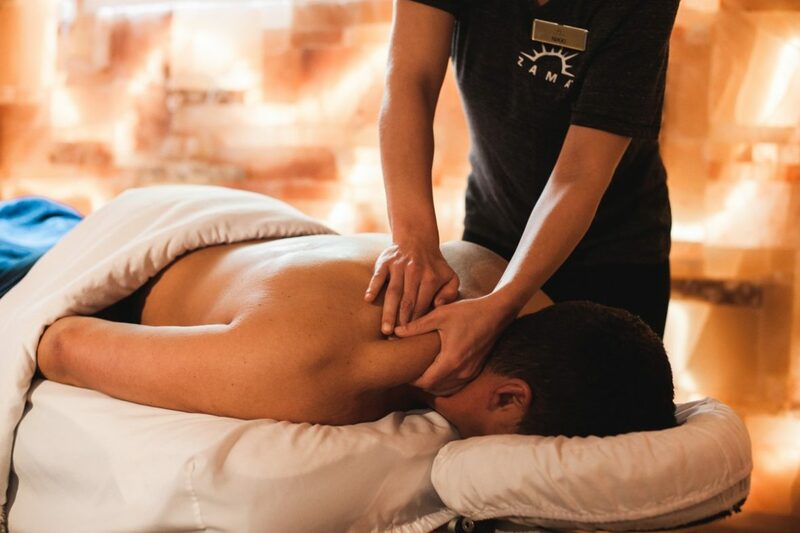 Choose from any one of our popular massage packages or services, such as our Pain Away Package, Massage Cupping, Ashiatsu, Halo Massage or a highly rejuvenating Deep Tissue Massage. Whatever your needs, relief and relaxation are just a click away! Find out more about the benefits of massage therapy here!